Disconnectable compression terminal with fixed hardware and positioning pin for making disconnectable tap or jumper connections. Used with slotted YTA-R-2N T-tap or YSA-R-2N terminal. Supplied with aluminum bolts and washer-face, self locking nuts. Prefilled with Penetrox joint compound and capped. 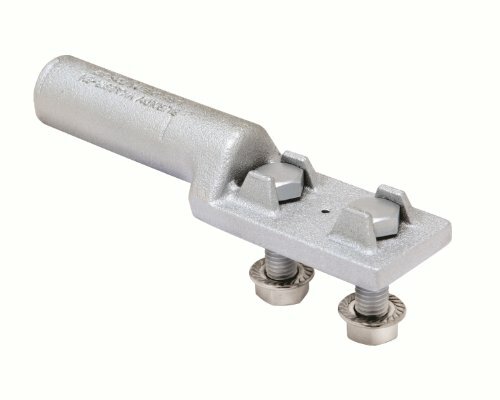 1-3/4-inches bolt length. Appleton EDS372-SA Mounting Body, Dead-End, Aluminum, 2 Gang, 1"